Description Less rain and sun and colder temperatures. Conditions are challenging for crew and instruments. Large jelly fish patches in Inlets: Budd, Sinclair, and Case. 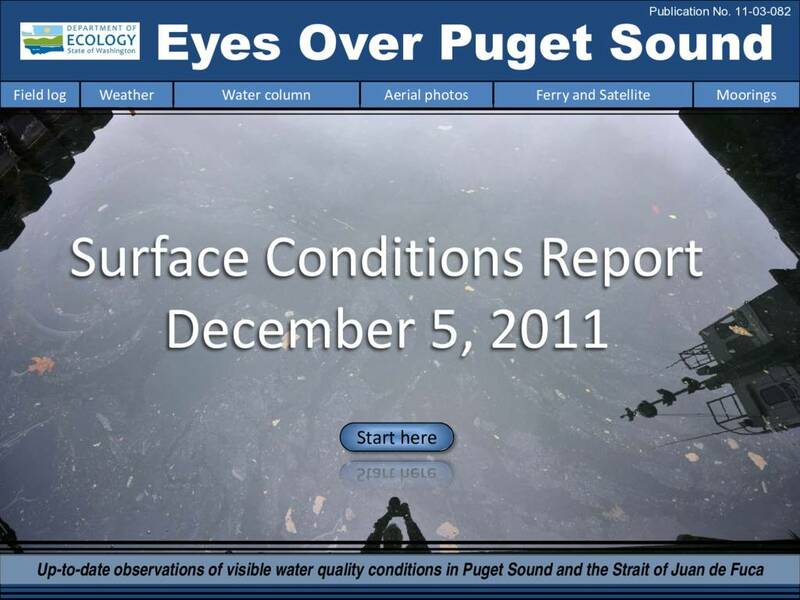 Central Sound algae bloom continues as temperatures fall and oxygen is still decreasing at places. Freshwater water moves into Central Sound.